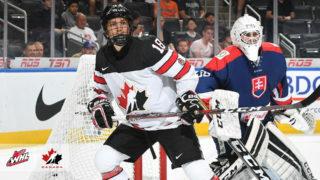 Moose Jaw Warriors Brayden Tracey and Daemon Hunt have been selected to play for Canada at the 2019 IIHF World Under-18 Championships in Sweden. 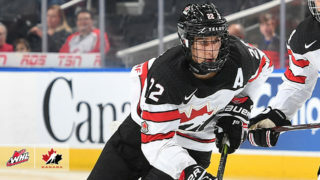 Tracey, who was the Warriors 1st round pick in the 2016 WHL Bantam Draft, was the 2018-2019 WHL and CHL rookie scoring leader and finished third in team scoring with 36 goals and 81 points in 66 games. 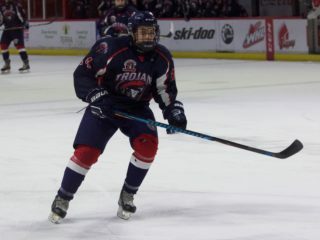 Hunt, who was selected 15th overall by the Warriors in the 1st round of the 2017 WHL Bantam Draft, had seven goals and 20 points in 57 games and was the highest scoring 2002-born defenceman in the WHL. 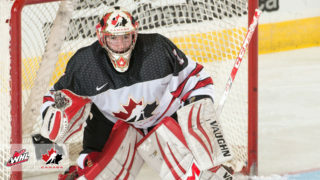 Hunt is one of two underage players to be named to Canada’s roster. Tracey and Hunt are joined on Team Canada by Warriors General Manager Alan Millar who is in Sweden as part of Hockey Canada’s Management Group. Warriors import forward Yegor Buyalski has also been selected to play for Belarus at the tournament. Buyalski was selected by the Warriors in the 2nd round of the 2018 CHL Import Draft and went on to record six goals and 14 points in 66 games. This isn’t the first time that Buyalski has played for his home country, before joining the Warriors last season, he played on Belarus’s Under-17 team in 2017-2018 and had 19 goals and 48 points in 49 games.